Brown's political legacy is a rather dull affair, more in the shadows of the times that surrounded his time in government. With so little to acclaim, it's not surprising that Brown should now seek to whitewash Britain's -- and his own personal -- responsibility in the illegal war on Iraq. 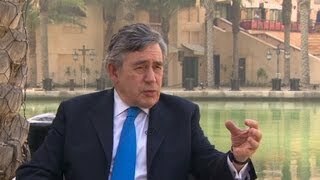 Gordon Brown, the former British prime minister who took over from Tony Blair in 2007, made headlines earlier this month when he claimed that Britain had been hoodwinked by the Americans about Iraq's weapons of mass destruction (WMD) and thus duped into joining the war on that country. The Independent, for example, ran the headline: "US hid intelligence from Britain about Saddam Hussein's WMDs before Iraq War, Gordon Brown claims." Several other British news outlets ran similar headlines along the line that "Britain had been deceived" into joining the American war plan on Iraq, which the George W Bush administration launched in March 2003. 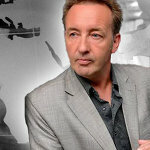 Brown's claim comes out of the publication this month of his autobiography which is grandly titled: "My Life, Our Times." Given his attempt to re-write the history of Britain's despicable involvement in the destruction of Iraq, a more appropriate title for Brown's book would have been: "My Life, My Excuses." From an excerpt of Brown's memoir, the former British premier writes: "When I consider the rush to war in March 2003 -- especially in light of what we now know about the absence of weapons of mass destruction -- I ask myself over and over whether I could have made more of a difference before that fateful decision was taken." This sounds like a man who is racked by guilt over what the American-British war in Iraq and nearly a decade of military occupation unleashed. Such guilt would be understandable given the horrific results of that war: over one million Iraqi civilians killed; up to four million Iraqi children orphaned; millions displaced; a society reduced to rubble; and the scourge of sectarian terrorism that has blighted the entire region, inflicting hundreds of thousands more deaths, especially in Syria. At the time of the Iraq War, Brown was serving as the Chancellor of the Exchequer (finance minister) in the British government, with Tony Blair as prime minister. He writes in his memoir: "Chancellors have seldom been at the centre of decision-making in matters of war and peace. My official role leading up to the conflict was to find the funds for it." Again, this sounds like someone trying to minimize their culpability in the disastrous, not to say criminal, decision by the British government to go to war in Iraq. Central to Brown's claims is that the US Secretary of Defense Donald Rumsfeld deliberately withheld crucial American intelligence from the British in the run-up to the war. It was only years later that Brown says he became aware of this secret US intelligence which cast doubt on claims over Iraq's alleged possession of weapons of mass destruction (WMD). Brown writes: "Having reviewed all of the information now available... I feel I now understand how we were all misled on the existence of WMDs." What he is implying is that his government would not have embarked on the Iraq War disaster if it had access to the intelligence report which Rumsfeld withheld from Downing Street back in early 2003, during the "rush to war," as he puts it.